Give your plans a hand-drawn look using a wide variety of plant symbols and color washes. Add plant labels automatically using the wizard, and add a plant legend with just a few mouse clicks. Design irrigation systems, planting details, and other CAD drawings with accurate size and scale. Includes drawing templates for sheet sizes A0-A4, and custom sizes are also supported. An extensive library of symbols is included, and you can create your own using the wizard. 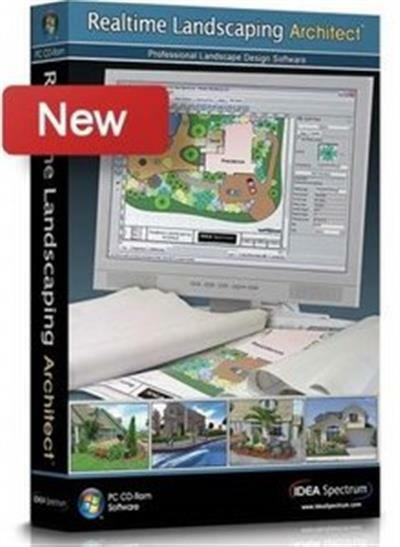 Design landscapes using a library of over 7,200 high resolution plants including shrubs, annuals, perennials, cacti, water garden and tropical. Plants are included from all climate zones, so you can choose the ones best suited to your client's location. Most plants are high-resolution, professionally masked pictures of real plants, so they look realistic even close up. The library also includes 470 high-resolution 3D plant models which are ideal for movies and 3D walkthroughs, and nearly 500 additional standard-resolution 3D plant models.